throughout winter and the extreme weather conditions and anything horses can throw at it. have to pick the kids up now, in the middle of a thunderstorm with gale force winds when all you want to do is be curled up in front of the heater with a good book….now you are wet, cold, cursing and chasing a horse half way across your village wondering why you didn’t get cat instead of a horse. Take the time to check trees and other fixtures as well that might break in a strong storm and crash through a rail, or if you have wire fencing check for any old wire that may get hidden under snow that can tangle around a horse’s leg. Wire is not very visible to horses and in winter extremes can be nearly invisible and can cause all types of trouble from cuts to permanent injuries. Snow and extreme weather can also effect plastic fences, in summer the UV rays can make it become brittle and then in winter can get so frigid it can splinter and severely cut a horse. 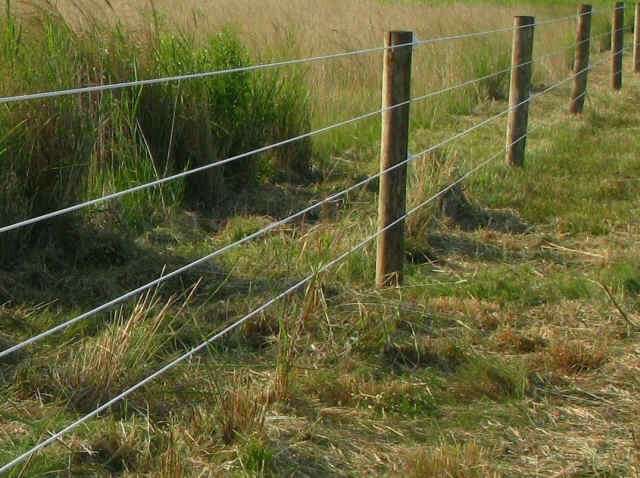 All fencing has some type of danger to a horse whether it is wood, wire, plastic or vinyl. It will always deteriorate through weather and what horses dish out to it so check it regularly and repair it early and you won’t ever think to be trading your horse in on a cat.